Every New York woman has to own a reliably warm, and fabulous winter coat. Styles range from coloured faux fur, printed wool, parkas, and long line puffas, whatever suits one’s style. Given how low the temperatures can drop, layering a coat over another is a common and stylish sight. Worn underneath could be the wide leg trouser – high waisted in heritage checks, plain or denim, but consistently with a generous turn up. Another choice is the boiler suit – a trendy, all-in-one and easy-to-wear piece, because only one fashion decision needs to be made. The footwear update is the Western and square-toed boots, especially in bright snakeskin. Handbags are now in a variety of fabrics from vinyl, straw, wool and coloured leather. With sunglasses, all bets are off when it comes to design and size – small and angular for some, large shield with coloured lenses or frames for others. 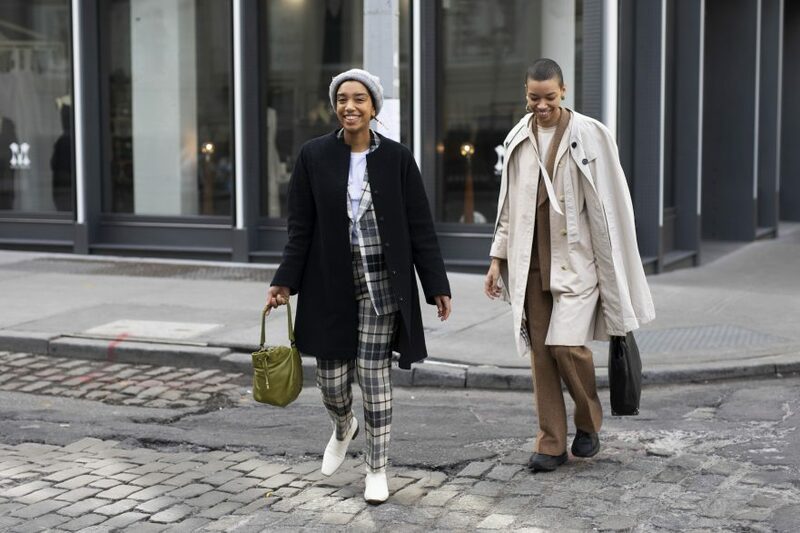 Check out the best street style from New York Men’s Fashion Week 2019.